St John’s, Antigua takes you to the north west of this beautiful island. It’s a former naval fort, giving it a fascinating history, as well as being the capital of the island where you’ll find a bustling market and a selection of bars, restaurants, and shops. Head to the beach and you’ll find inviting white sands backed by palm trees and chilled beach bars, or enjoy the livelier streets of the town. Colourful buildings overlook the crystal clear waters of the Caribbean Sea, and house duty free shops where you can pick up bright fashions, souvenirs, and trinkets. Head to the farmer’s market for a selection of local produce and a chance to immerse yourself in the vibrant local life. If you want to learn about some of the island’s history, you’ll find Antigua’s National Museum, as well as the historic, towering St John’s Cathedral within the town. Holidays in St John’s, centre around its many upmarket hotels. Inside the hotels you’ll find a fantastic selection of restaurants where you can try some of the island’s most exquisite cuisine. Spend the day in the spa, or book a massage on the beach and relax to the sound of the waves. In the evening, unwind with a crisp glass of wine, or an exotic cocktail as you listen to some chilled tunes. For the ultimate romantic day book a boat trip and head to an uninhabited desert island where you can enjoy a picnic and your own stretch of white sands. Choose Sovereign for your luxury holiday in St John’s and we’ll help you make wonderful memories which last a lifetime. We’ll take care of all the little details so you can focus on relaxing and making the most of your time away. Our fantastic selection of hotels has been carefully selected to ensure they offer the very best amenities. Choose the Blue Waters & Cove Suites Antigua for a host of activities for the whole family, including a Kids’ Club and water sports. 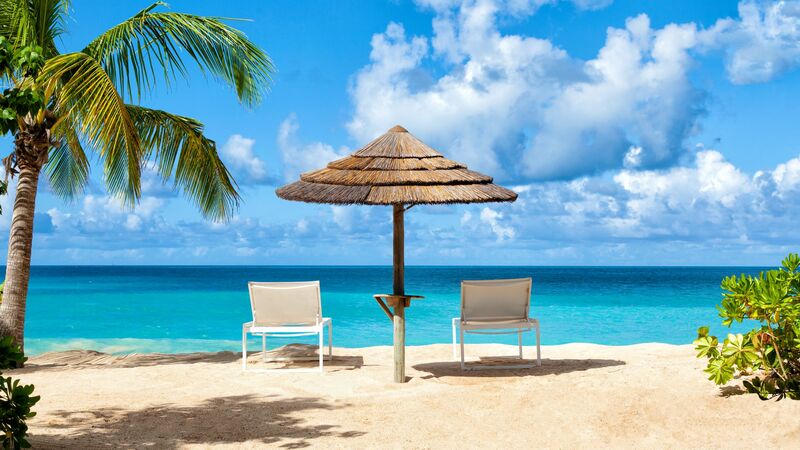 Alternatively, the Galley Bay Resort & Spa is ideal for an adults only, all inclusive island paradise. St John's is a great spot for shopping. Head for Heritage Quay for duty-free buys and traditional souvenirs, or pick up a few pieces of tropical fruit at the covered market. Transfer time from Antigua airport to St John's is approximately 20 minutes.